In the fourth ODI between West Indies and India which is being played at Brabourne Cricket Stadium in Mumbai. Earlier during this match, Captain Virat Kohli won the toss and decided to bat first on the flat pitch. 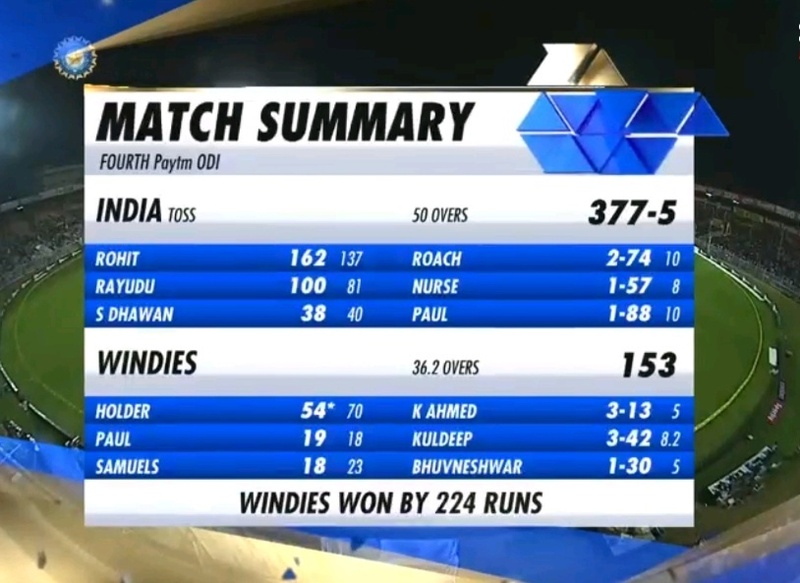 Batting first, India scored 377/5 (50) runs and dismissed Windies for 153 runs and won the match by massive 224 runs. 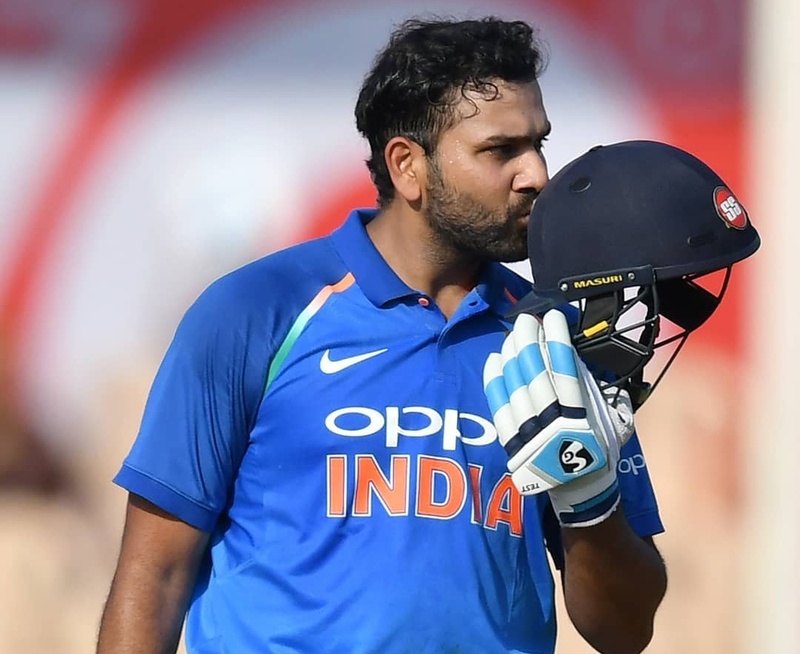 But, after failing to bat in the last two games, Rohit Sharma scored a magnificent century, it's his 21st ODI hundred, he played 132 balls to score 162 runs which includes 20 fours and 4 sixes. 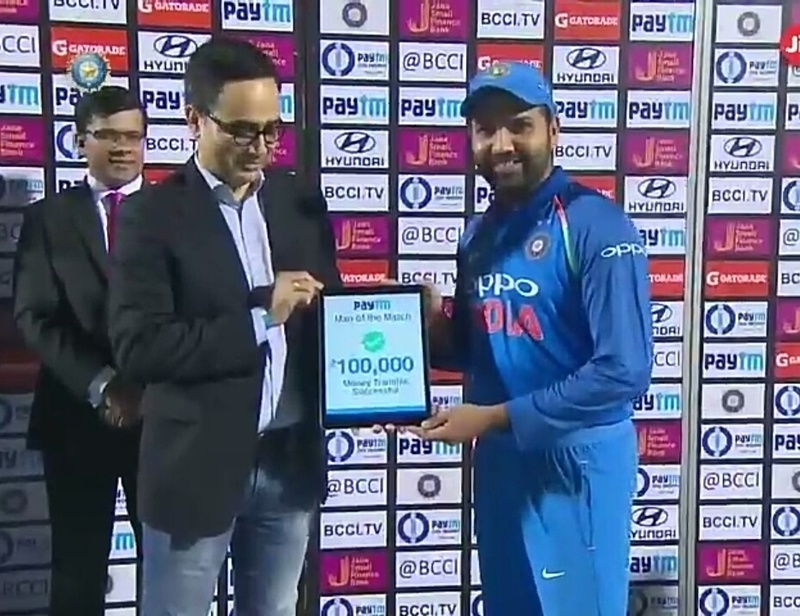 Hitman Rohit Sharma becomes first player in the world to score 150 runs and take 3 catches in the same ODI match. Rohit has become the 4th fastest to reach 21 hundreds in ODI. With this he has left Tendulkar and Ganguly behind in the case of scoring 21 centuries in the fewest ODI innings. Rohit achieved this feat in 186 innings, While Sachin Tendulkar (200) and Ganguly had achieved in 217 innings. 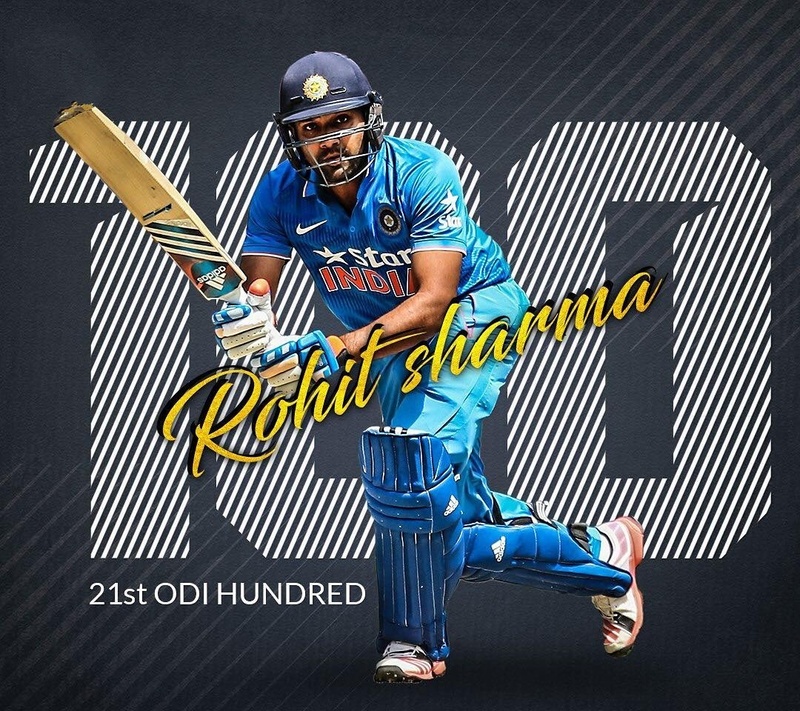 Rohit has scored 19 hundred as an opener in 107 ODI innings so far and becomes the second fastest to reach this feat. With this he goes past Sachin who achieved this feat in 115 innings and Dilshan in 152 innings, while Gayle scored his 19 hundreds in 172 ODI innings. 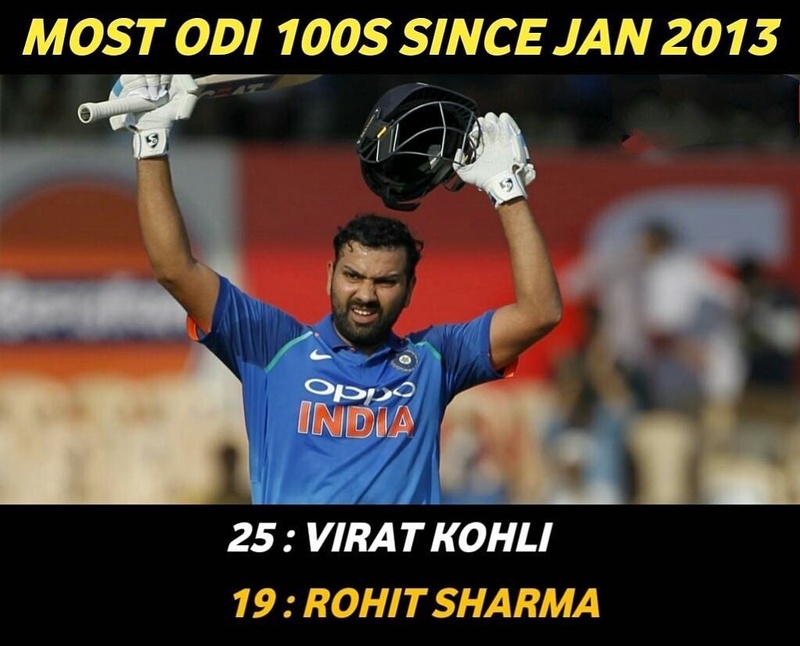 Rohit Sharma is placed second in this list of most centuries since 2014 with 19 centuries, behind Captain Virat Kohli who has scored 25th hundreds since 2013. 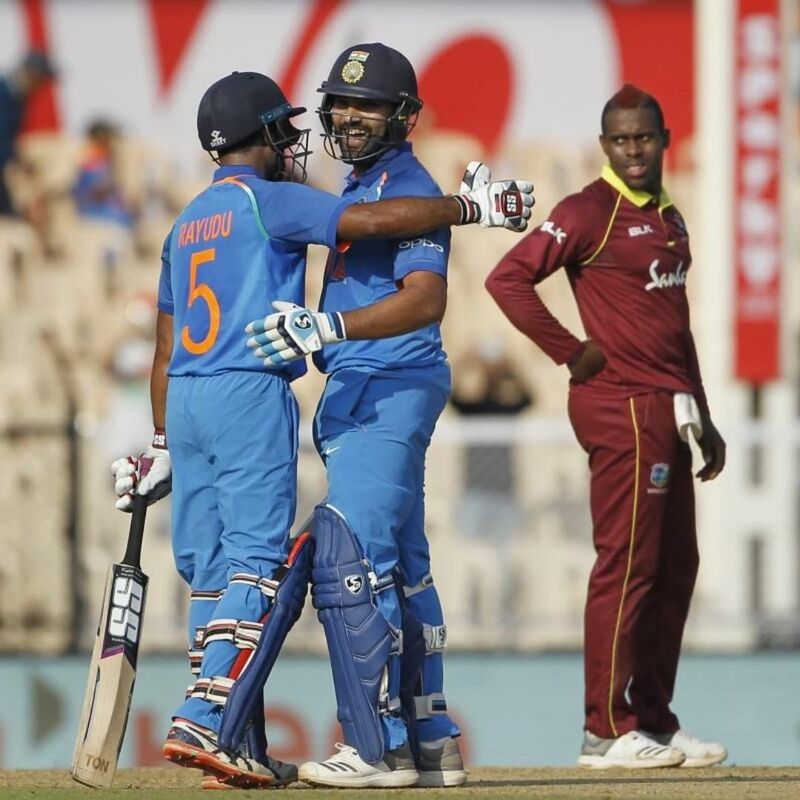 Rohit and Rayudu added 211 partnership together for the third wicket. With this amazing stand both have placed at second place in the list of highest partnership against West Indies for India. Rohit Sharma has become the first Indian batsmen to score two 150+ runs in the same series and second batsman of the world. Before him, Zimbabwe captain Masakadza achieved this feat against Kenya in 2009. 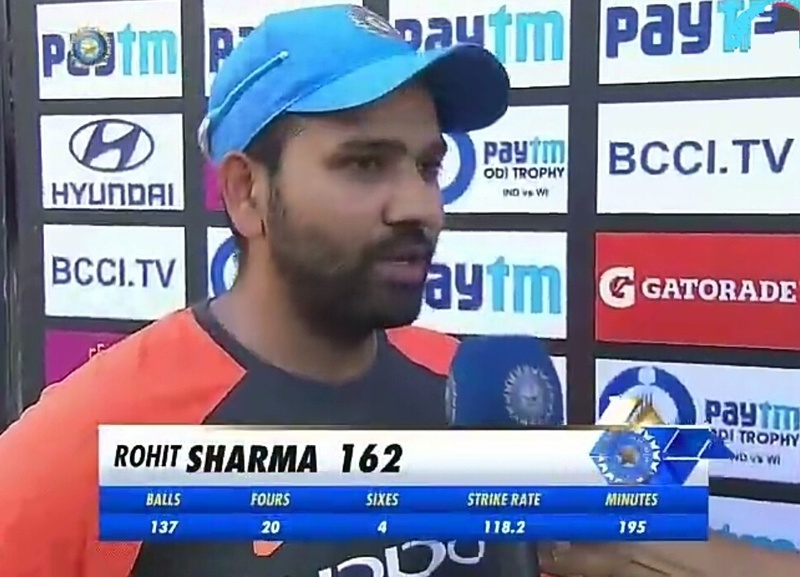 Rohit Sharma smashed 4 sixes during his knock of 162, With this he has left behind Sachin Tendulkar (194 sixes). 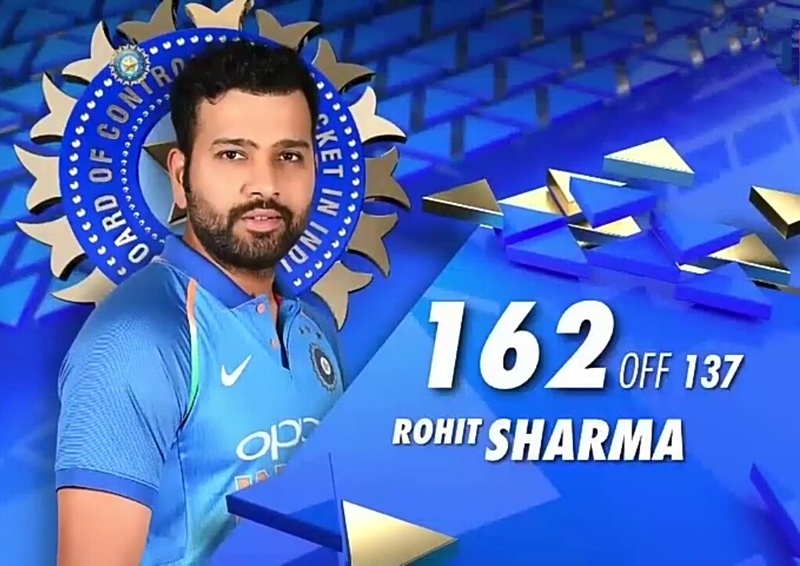 Rohit Sharma (196) is placed second in the list most sixes for Indian behind MS Dhoni (215) and 7th in overall. 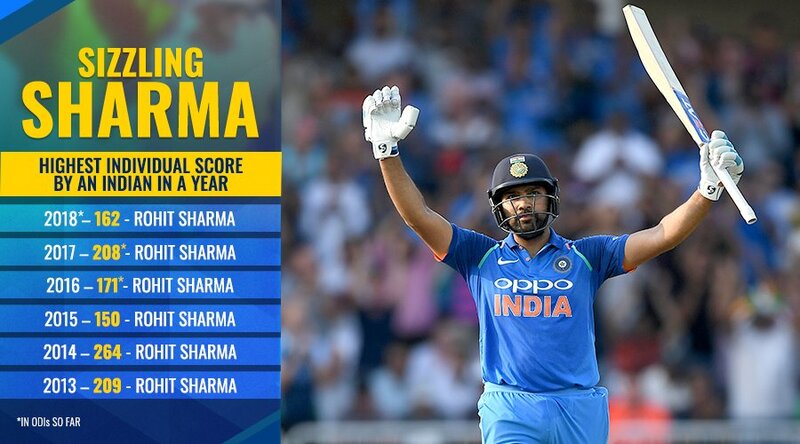 It's not worng to say that, Rohit Sharma is the Real Sixer King of India. He his just 20 sixes away in breaking bthe record of MS Dhoni.